For the first time in modern history, Jews invited Christians and representatives of governments of 70 nations of the globe to gather in Jerusalem for the “World Creation Concert” last Sept 3. The Jewish Sanhedrin, the revived highest tribunal of the Jewish state and religion, and the Mikdash (Temple Educational Center) hosted the event timed with the 70th year anniversary of reborn Israel and the eve of the 5778th anniversary of the creation of the world according to the Hebrew Calendar. The site of the concert was the Southern side of the Temple Mount, site of the biblical Holy Temple built by Solomon and rebuilt by King Herod. According to Jewish tradition, the creation of the world began at the foundation stone that lay under the Holy of Holies in the Temple. 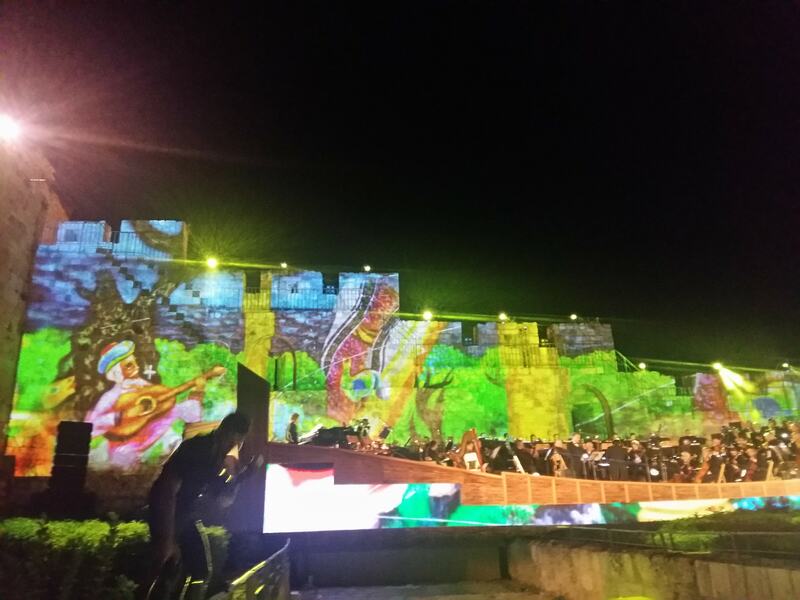 The evening concert was a spectacular, dazzling narrative of the six days of creation depicted in music and lights beamed on the ancient walls of the Temple. 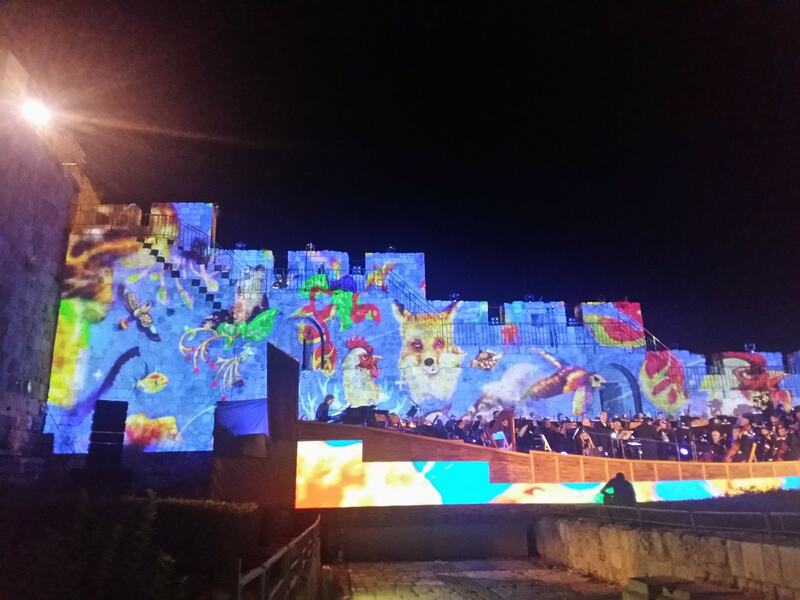 The center stage was a huge Ark, upon which an orchestra played classic, choral and traditional Jewish music, including excerpts from the Psalms related to the story of creation. 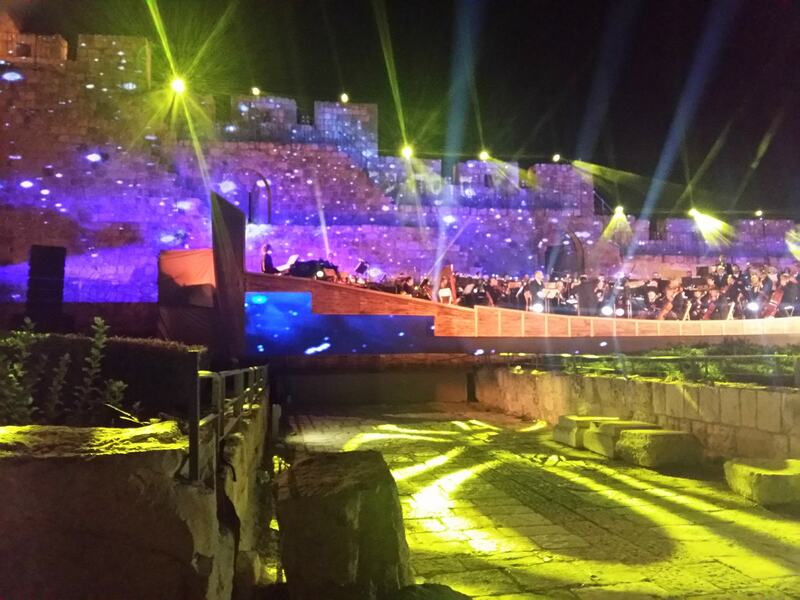 Rabbi Hillel Weiss, spokesman for the Sanhedrin, explained that the purpose of the concert was to unite the world in the name of love and the messianic vision of peace. They invited leaders representing the 70 countries of the world to come and stand for the 70 nations that populated the world in the time of the grandsons of Noah. 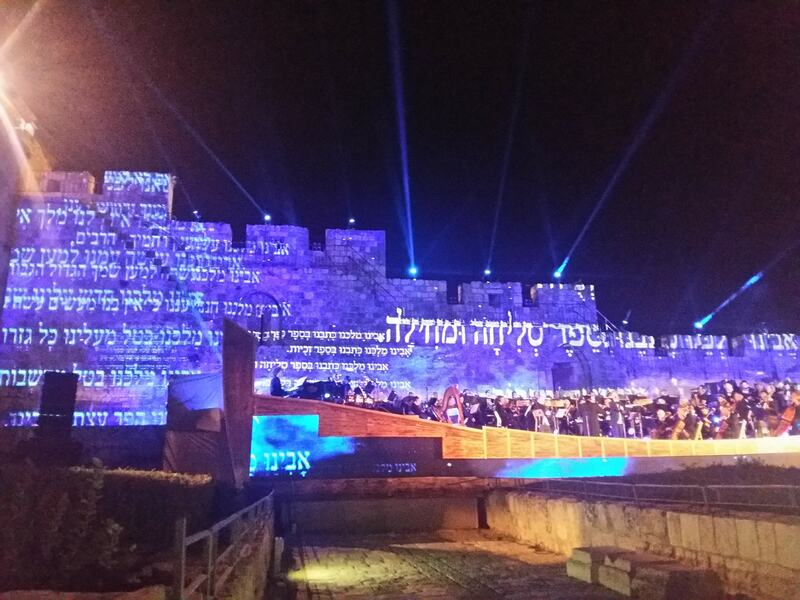 Around 1,000 people attended the concert which was all in Hebrew. Most of the audience were Jewish, with less than a hundred Christians in attendance. 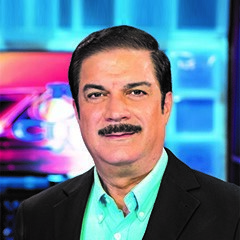 Only Honduras, Guatemala, and Mexico responded to the invitation to send high-ranking representatives of their nations. Christians attending the concert said they were greatly impressed and inspired by the artistry and beauty of the presentation. Some however, commented that world peace can only come with the return of the “Prince of Peace,” Yeshua HaMashiach or Jesus Christ who said “My peace I give you, my peace I leave with you. I do not give to you as the world gives.” Also, He has already built the Third Temple, the “Temple of the Holy Spirit,” in the hearts of those He indwells and has redeemed through the Cross. I have been unable to find the names of the 70 nations that were represented. I have been studying prophecy for some years. Would you be so kind as to email me the names of the countries represented? Thank you for your times and efforts. Hi Steve, thank you for visiting our website. You may check this link for more info. https://jerusalemchannel.tv/2018/08/15/sanhedrin-invites-christians-to-world-creation-concert/. God bless you more.